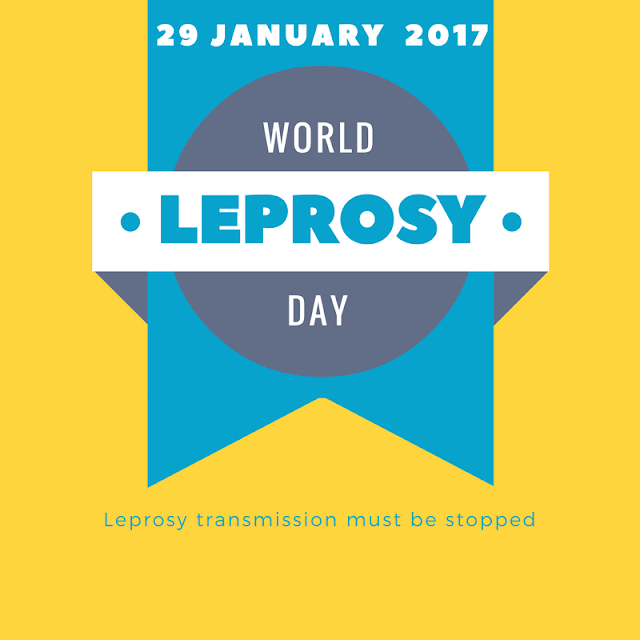 World Leprosy Day is annually observed around the world on the last Sunday of January. The day was initiated in 1954 by French philanthropist and writer, Raoul Follereau, as a way to raise global awareness of this deadly ancient disease and call attention to the fact that it can be prevented, treated and cured. Leprosy is a chronic infectious disease caused by Mycobacterium leprae, an acid-fast, rod-shaped bacillus.The disease mainly affects the skin, the peripheral nerves, mucosa of the upper respiratory tract, and the eyes. Leprosy is curable and treatment provided in the early stages averts disability. Multidrug therapy (MDT) treatment has been made available by WHO free of charge to all patients worldwide since 1995. It provides a simple yet highly effective cure for all types of leprosy. Elimination of leprosy as public health problem (with a prevalence less than 1 case per 10 000 persons) was achieved globally in the year 2000. More than 16 million leprosy patients have been treated with MDT over the past 20 years. 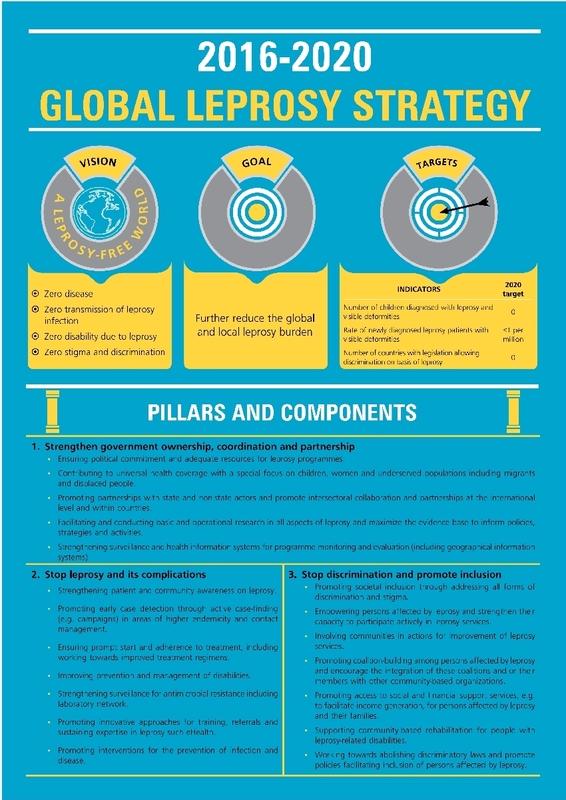 Promoting partnerships with state and non-state actors and promote intersectoral collaboration and partnerships at the international level and within countries. Promoting early case detection through active case-finding (such as campaigns) in areas of higher endemicity and contact management. Ensuring prompt start of and adherence to treatment, including working towards improved treatment regimens. Promoting innovative approaches for training, referrals and sustaining expertise in leprosy, such as e-health. Involving communities in action for improvement of leprosy services. Promoting coalition-building among persons affected by leprosy and encouraging the integration of these coalitions and or their members with other community-based organizations. Working towards abolishing discriminatory laws and promoting policies facilitating inclusion of persons affected by leprosy.